One of the most worthwhile series of conferences I have attended have been the Communicating Astronomy to the Public conferences run by the International Astronomical Union. Although have not been to them all, I found the 2007 conference in Greece and the 2011 conference in Beijing brilliant – so the 2013 event, held in Warsaw in October, was a must. So, leaving the QVMAG Planetarium in Chris Arkless’ very capable hands, I headed over there. The main venue was the Copernicus Science Centre and Planetarium, a wonderful facility that has a quite extensive interactive science exhibit area. This was certainly one of the several great points of interest for the week! 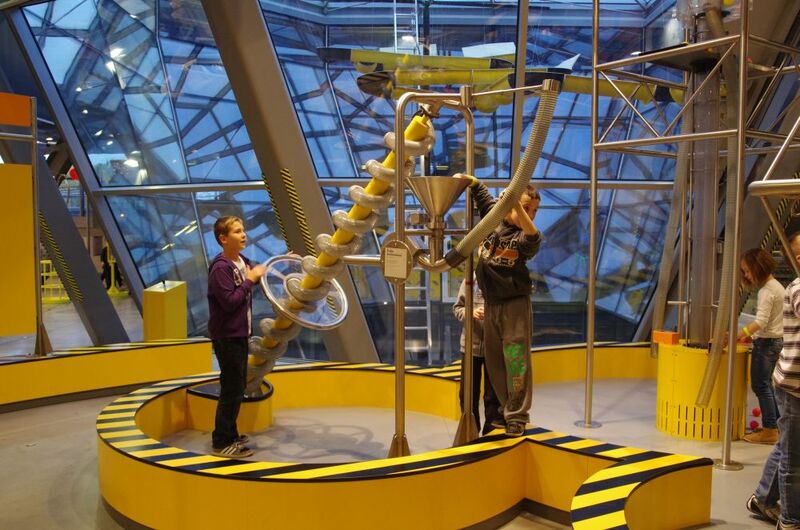 Children enjoying an interactive in the Copernicus Science Centre. Of course, the most important aspect of the week was attending the many conference sessions, and my feeling, and the feeling of the attendees in general, was that they were all well worth attending, with excellent speakers. There was a great deal of discussion about citizen science, in which people who do not necessarily have a scientific background participate in research projects that involve a lot of data – such as the classification of galaxies. This method has a real place in scientific research. I was particularly impressed with the talk by Lina Canas of Portugal. She is passionate about bringing astronomy to vision-impaired people, and brought tactile star charts and models of the cratered lunar surface. Another very important part of the week was a panel discussion about 2015 being the International Year of Light. I saw this session as very important, because of the obvious strong connection with astronomy. 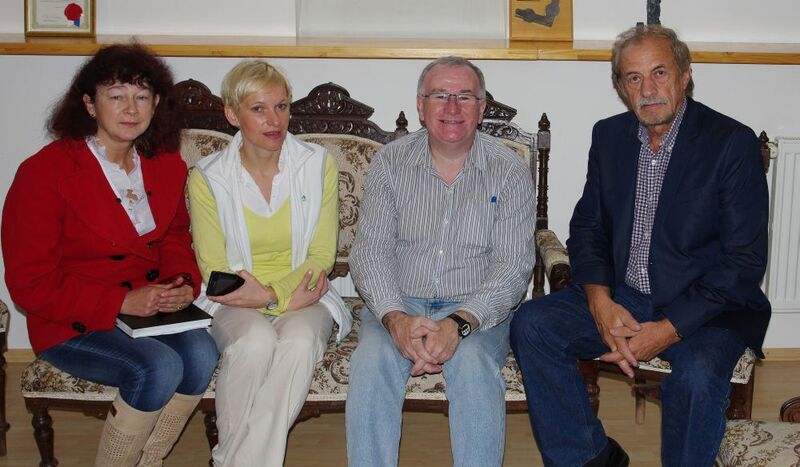 Among the panellists was Thomas Kraupe, President of the International Planetarium Society. We discussed several aspects of bringing astronomy into the ILY, including the measurement of the speed of light using Jupiter’s moons, the measurements of starlight, using stars to measure the true rotation period of Earth, and other worthwhile projects. 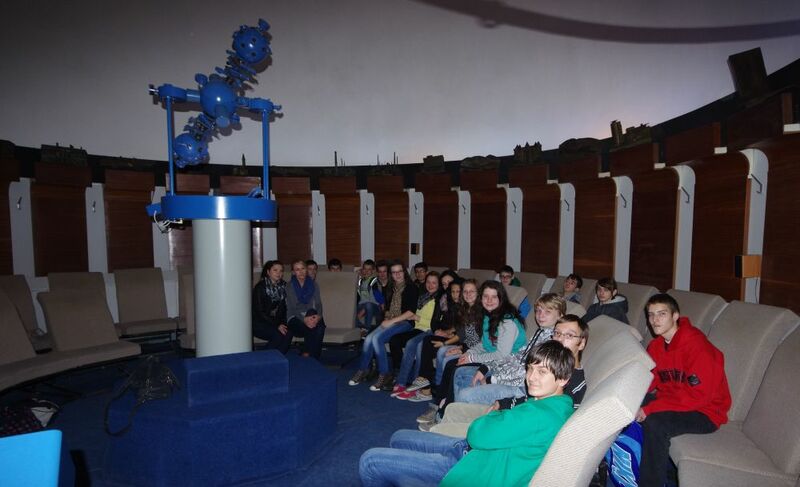 A group of students in the Planetarium at the Technical Museum in Kosice. After the conference, I made a visit to Slovakia, in order to make an official visit as IPS Chair of International Relations. I chose Kosice, in the eastern part of the country. The city has two planetariums; I spent a morning with the staff of the Technical Museum, which houses a planetarium with an 8-metre dome and a Zeiss ZKP1 projector. Especially impressive was the collection of current and historical astronomical equipment on display. 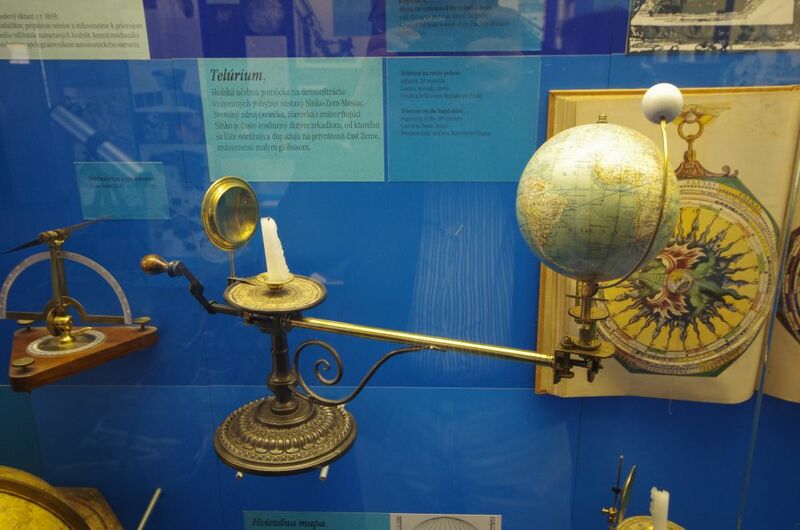 Part of the excellent astronomy display in Kosice. As part of my IPS work, I am continuing to try to bring planetariums together in various parts of the world, and eastern Europe has long been a particular area of interest for me. There are others, including the Arabic-speaking world. I recently made a visit to the United Arab Emirates and had a very positive meeting at the planetarium at the Women’s College in Sharjah, but more about that another time! Meanwhile, the QVMAG Planetarium in Launceston is continuing to run well, with Chris Arkless running the majority of the shows and providing much-needed and very welcome technical support. November, as usual, was a big month for us for school groups, and the numbers of school group bookings are increasing every year. This entry was posted in Uncategorized and tagged Conference, Education, Warsaw. Bookmark the permalink.